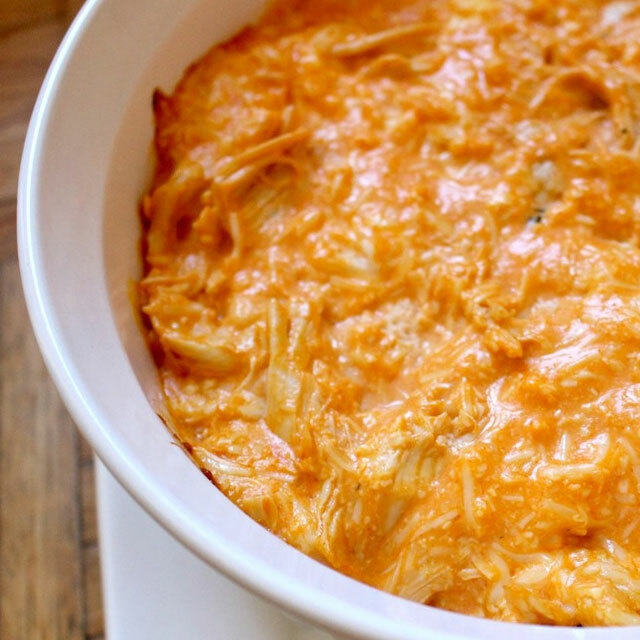 Creamy cheesy chopped ABF chicken blended with spicy buffalo sauce. Serve cold or to serve warm, put it in your own small casserole dish and warm it in the oven (psstt… it’ll look like YOU made it). Great with tortilla or pita chips or for low-carb use celery sticks. Try it as a quesadilla filling with peppers & onions.